Winter can be a hectic season for us South Dakotans. As your calendar fills with hockey practices and holiday parties, you need a protein-rich breakfast to fuel your day. 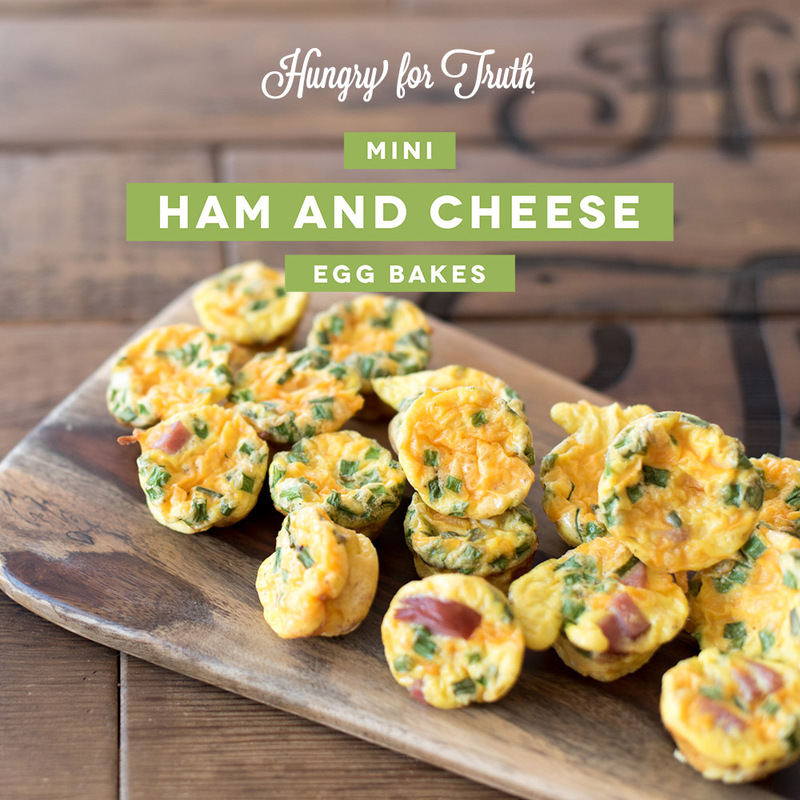 These mini ham and cheese egg bakes fit the bill. You can scale up this recipe to accommodate last-minute holiday guests or scale it down for a cozy brunch with your family. These even freeze well so you can make them ahead of time and enjoy healthy breakfasts on the go. Did you know hens need a healthy breakfast, too? Laying hens are fed a protein-rich diet of soybeans, corn and grains enriched with calcium, vitamins and other minerals. Egg layers in South Dakota eat an average of 15,000 tons of soybean meal each year, giving them energy to lay about 700 million eggs annually. When selecting eggs at your grocery store, you might see some cartons labeled “Non-GMO,” “GMO free” or “Non-GMO Project Verified.” These eggs come from chickens that eat food that has not been genetically modified. Keep in mind that genetically modified feed does not affect the taste, nutritional value or safety of meat, eggs and dairy. In fact, there has never been a documented health problem related to GMOs. There’s no need to pay extra for the label. Now, it’s time to get cracking! 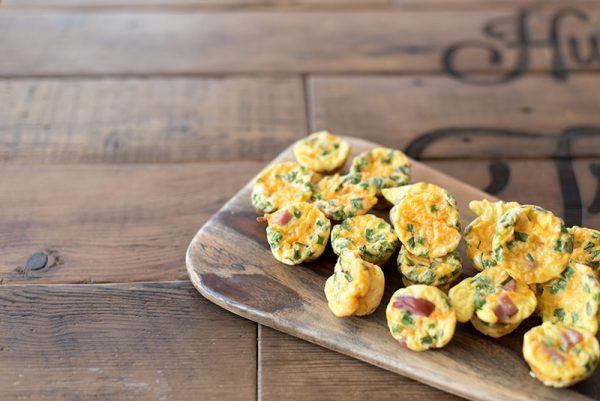 Check out the video below for a step-by-step tutorial on these delicious mini egg bakes. Looking for another breakfast option? Try this Power Breakfast Sandwich on for size. Spray a 12-cup muffin tin with non-stick spray. Beat eggs, soy milk, salt, pepper and green onions in a medium mixing bowl until smooth. 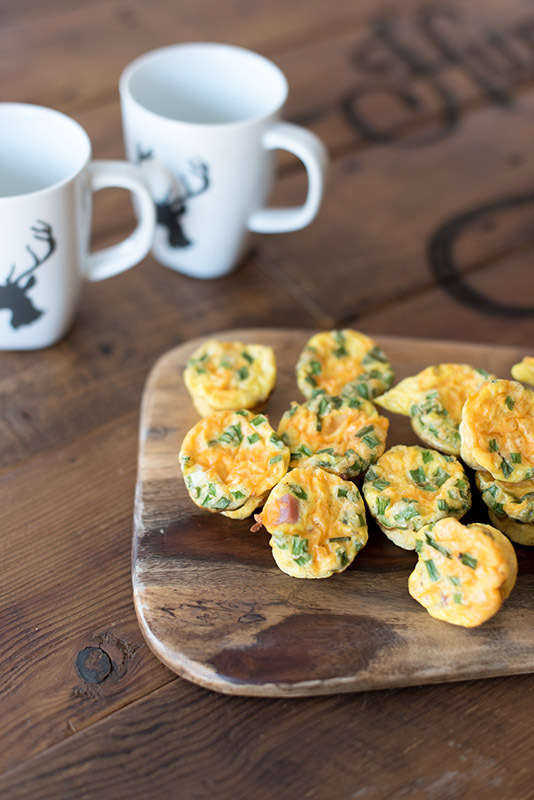 Fill each muffin cup with an evenly distributed amount of ham and cheese. Pour egg mixture on top of ham and cheese, dividing evenly. Using a rubber spatula, loosen the egg bakes from the muffin tin and plate. Serve immediately.